The temporomandibular joint (jaw joint) is located in front of the ear where the skull and the lower jaw meet. The joint allows the lower jaw (mandible) to move and function. The joint itself is made up of two bones that are separated by a disc of cartilage. Ligaments and muscles surround the joint. Pain – usually a dull ache in and around the ear. The pain may radiate, ie move forwards along the cheekbone or downwards into the neck. 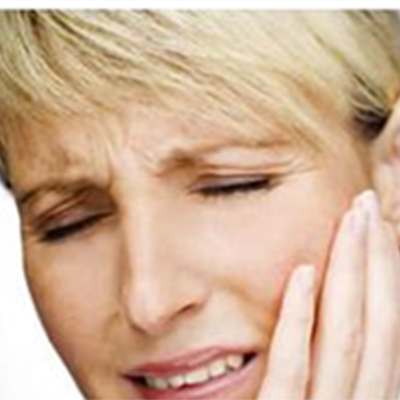 Most jaw joint problems are made worse by chewing and are aggravated at times of stress. The cartilage in the jaw joint is thought to slip forwards because of over-use of the muscles surrounding the jaw. This over-use commonly produces tightening of the muscles and may occur as a result of chewing habits, such as grinding or clenching the teeth when under stress or at night. Nail biting or holding things between the teeth can also cause jaw joint problems. Less commonly missing back teeth, an uneven bite or an injury to the jaw can lead to the problem. Often no obvious cause is found. Jaw joint exercises – the exercises that are best for you will have been discussed by the doctor seeing you. Please remember to carry them out as instructed. Providing a clear plastic splint that fits over the teeth and is worn mainly at night. This helps support the joint and surrounding muscles. What happens if these methods do not produce an improvement? Surgery is only carried out in a small number of cases. This can involve manipulation of the joint whilst you are asleep or more rarely surgery carried out with a mini telescope. In extreme cases it may be necessary to open the joint and operate on the bones, cartilages and ligaments.